In a presidency increasingly satirized by comedians and pundits, one ASU student found a way to provide social commentary on the cabinet appointment of Secretary of Education Betsy DeVos. DeVos, a billionaire conservative activist and supporter of school voucher programs, has been one of President Donald Trump’s most contested cabinet choices. The DeVos family has a history of large donations to Republican causes over the last two decades. Education sophomore Catherine Toca created a GoFundMe page to highlight the lack of financial variation in Trump’s cabinet choices, namely DeVos. The satirical page had a goal of funding Toca's way into a cabinet position. Toca's fundraising page said she "found out that in order to gain a cabinet position under the president of the United States you need to put $90,000,000 in the pockets of at least half of the spineless politicians in the Senate." Trump's large donor cabinet picks inspired her to start her own page, Toca said. Toca, who supported Bernie Sanders and later Hillary Clinton in the presidential election, said DeVos would be a disaster for education. “When you start taking money away from public schools for vouchers you disadvantage the people that might not be able to afford to send their kid to a private school,” Toca said. “Some people can’t afford the transportation and it’s not fair to them." The GoFundMe account has raised $115 as of Feb. 16, despite Toca not expecting to raise any money when she started. “I am surprised by how many people are liking and sharing it because it’s just my personality to be sort of sassy and say stuff like that, that might be a little inflammatory,” she said. All of the money will go to Planned Parenthood, Toca said, because woman's health is an important issue to her. As controversial as the DeVos nomination may be, David Garcia, an associate professor at the Mary Lou Fulton Teachers College, said there wouldn’t be much of a change in Arizona's education. “We already have some of the most expansive school choice policies in the country,” Garcia said. Garcia said that other states that currently restrict school choice should look to Arizona as an example of how to work within a school choice system. Regardless of how federal funds are allocated, Garcia said they should be benefiting the most disadvantaged students. This conversation comes as the Arizona State Legislature discusses its own school choice bill, SB 1431. The bill would allow state tax dollars to be used for private or religious schools, instead of just going toward public schools. Arizona leaders continue to support school choice policies, despite an Arizona Joint Legislative Budget Committee report that concluded the policy would actually cost the tax payers more than they would save. Jonathan Lines, chairman of the Arizona Republican Party, said that he looks forward to seeing federal power rolled back under DeVos. 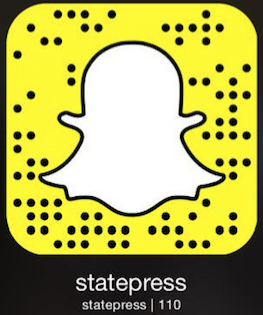 Reach the reporter at isaac.windes@asu.edu or follow @isaacwindeschef on Twitter.